Headquartered in Duisburg, Germany, FEhS–Institut für Baustoff-Forschung e.V. has substantial experience in investigation and development of applications for industrial co-products and residues, especially in iron and steelmaking. The company performs research on national and international level in the area of by-products, consulting in the field of recycling building materials and landfill, and evaluation of research projects. "Our environment is quite simple. We have one site, one blade server housing with four used slots. The four machines are holding a total number of around 16 VMs. We also have one standalone server for our Oracle DB," says Rene Griesa, Data Processing Manager at FEhS. "The applications that we have are Microsoft Exchange, WSUS, DNS, Licensing, VPN, Home and Groupshares, and Remote Workstations." NAKIVO Backup & Replication provides significant storage space reduction with global data deduplication. This feature is available out of the box, enabled by default, and does not require any setup or configuration. "Global data deduplication feature is a must have for us. It saves us real money on a daily basis. Not only were we able to significantly reduce storage space, but we also saved money on maintenance, electricity, and cooling," says Rene. NAKIVO Backup & Replication has impressed FEhS with its usability, flexibility, and features. Rene is also satisfied with the fast and professional level of support that he receives. "NAKIVO Backup & Replication is a powerful software. From the really clear web interface to the fast and helpful support," says Rene. "NAKIVO Backup & Replication solved the problems with our deduplicated volumes on the main data server. Now we have a working, fast, and affordable backup solution for all our demands. I can confidently say that we trust NAKIVO Backup & Replication!" says Rene. 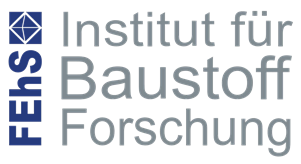 Founded in 1950, FEhS–Institut für Baustoff-Forschung e.V. checks and monitors industrial by-products, such as iron and steel slags, and other building products. The institute is a part of an extensive network of research institutes, laboratories, and interest groups. Registered members of the institute include steel mills, cement plants, and processing companies. FEhS explores potential uses of mill slags and residues, consults construction companies, and dispatches experts to national and international committees for standardization. Moreover, research is performed on secondary raw materials/slag metallurgy, with the aim to optimize the production process and use resources efficiently in terms of environmental and sustainable steelmaking. Lastly, FEhS develops and enhances processes for the production of fertilizers out of industrial by-products and develops measures to improve environmental performance. For more information, visit www.fehs.de.